It had me stumped for some time and I was hoping that your suggestions might lead me to an identification. As it turns out, I did indeed get inspiration from your ideas and I think that I may have worked out which species this leg came from. The first suggestion came from Barbara, who suggested that it might be from a Wombat. This was a great suggestion, since I hadn’t properly considered any marsupials and the robust nature of the leg suggests a heavyset digger. 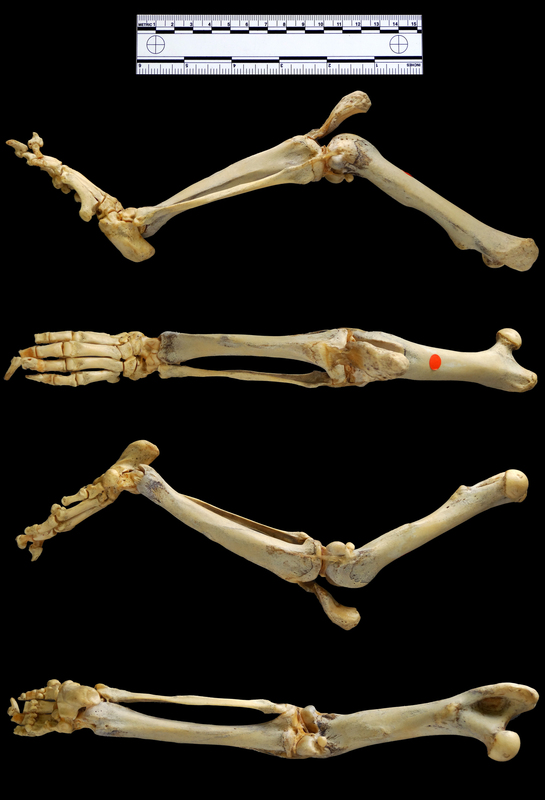 However, the calcaneus (or heel bone) in Wombats is shorter than we see in this specimen and the ungals (the bits at the very end of the toes, where the claws would attach) are longer and more spade-like in the Wombat – an adaptation for digging. 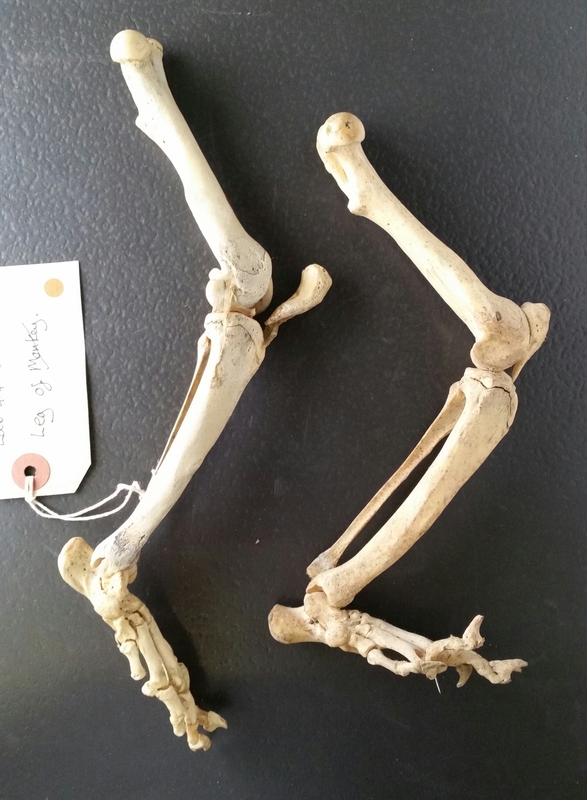 Carlos and Lee Post made some useful observations about the patella (kneecap) and general proportions of the hind limb elements and how they relate to those of other animals – ruling out anything from North America. 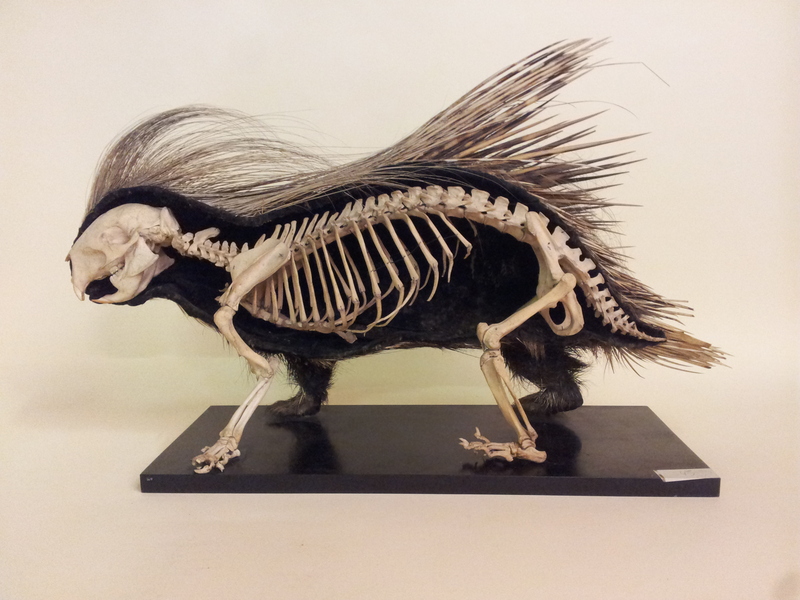 The Crested Porcupin Hystrix cristata Linnaeus, 1758 is the third largest rodent after the Capybara and Beaver, and it appears to have similar general proportions of the hind limbs. I’ll need to check against a specimen, but it seems I have a useful direction for investigation – so many thanks to everyone for your suggestions! I have now checked the mystery specimen against a Crested Porcupine and they are indeed a match! Excellent! I like mysteries; especially when they’re solved. Will go on an Interwebs search in a bit! I didn’t know the crested porc was the third largest rodent. I’ve met some in person so this was particularly fascinating. This was good learning fun all around. Thanks Paolo & assistants! Yay! Always a good feeling when you succeed in identifying a difficult specimen.